In today's economy, many believe customer service will be the next competitive battleground in the enterprise. Disgruntled customers are increasingly voicing their dissatisfaction and frustration through social media, enabling their complaints to go viral in minutes. The challenge for contact center managers will be finding a way to offer the best customer service at the lowest cost. What can we expect over the next year? In fashion, trends come and go; what's old is new again. The same can be said of the contact center world. Multichannel contact centers are again making the latest fashion statement, this time with a twist—social media and mobile apps have joined the multichannel party. In addition to recycled trends, some emerging trends are seriously disrupting the traditional contact center model. Trend #1: The "un-contact center" is the new reality. As contact center technologies evolve, virtual and distributed skill sets are becoming the norm. Supervisors no longer evaluate and collaborate face-to-face with all or even most of their staff. This creates significant management issues. New paradigms for personal collaboration are infiltrating the enterprise. Low-cost integrated video and enterprise social tools are being leveraged more and more to drive "high touch" collaboration. The adage that "everyone is in sales" or "everyone services customers" is more true than ever. The walls that surround the traditional contact center are crumbling as organizational silos meld into a cohesive, collaborative environment. Mobility and social media will help people find the best resources regardless of where they're located. The future of the contact center will likely include a combination of the traditional centralized location and the newer model of people sitting in their living rooms addressing questions on chat-enabled Web sites, for example. Trend #2: The customer is the contact center. According to Harris Interactive, 72 percent of adults who "had a memorable product purchase, use, or service experience" said they followed up with positive action, with 57 percent communicating about their positive experience with others, and 41 percent recommending that someone make a purchase. Moving forward, unified communications will enable enterprises to find the best person to address customer issues—inside or outside the contact center. Customers are uniting to form communities of common interest, to support and evangelize your brand—or destroy it. There is a dramatic disparity between what customers say to your business and what they say about you—particularly if their sentiments are unfavorable. Your contact centers must proactively seek out positive and negative chatter about the brand you've worked so hard to establish. Another example of how "the customer is the contact center" is in the area of support. More and more companies' support functions are being offloaded to community or forum sites through articles written by super-users of the company's products. Are your support agents in lockstep with the solutions and fixes your brand advocates are writing about? Trend #3: Customers are trying to solve problems by themselves first, and want a seamless transition if they decide to contact you. With the majority of people online doing everything from purchasing to banking to booking a trip to asking questions and obtaining support, the best way to keep customers loyal is to make it easy for them to contact you. Today's consumers expect a completely seamless transition between each contact medium. They want to be able to easily transition from a Web-based chat to a phone call to an email. You make this happen by setting up every online interaction to leverage browser-based (WebRTC) contact. Customers simply click-to-contact from a Web page and tell the contact center how and when to contact them. Once the contact is established, the information about where customers were searching and what they were doing is captured, analyzed, and passed to the agent seamlessly. Waiting in queue for an agent becomes a thing of the past. The requirement for a seamless transition between Web self-service and agent-assisted service is even more pronounced when customers/prospects are using a smartphone or tablet to interface with you. Once they are communicating with an agent in real time (via a phone call, for example), adding multiple modes such as video, chat, email, screen sharing, file sharing, and cobrowsing further enhances the experience. Contact centers will need to ensure that agents can respond and utilize new tools appropriately. They will need to be trained and coached accordingly and adapt at a very quick pace, given the current adoption rate of mobile devices. Trend #4: The renaissance agent. Today's agents must master multiple new media and channels of interaction. In the past, customers have been transferred from person to person, much to their frustration. The millennial generation is making its way into the contact center workforce and customer base, mandating new interaction channels to accommodate their needs and forcing organizations to break down silos. To stay relevant, contact centers must align with this shift in technology, staffing, and training choices. If your customer base is multigenerational, doesn't it make sense that your agents be too? Different age groups prefer different methods of communication—so matching a 30-something caller with a 30-something agent is imperative for taking or maintaining a competitive edge. Is your contact center routing engine sophisticated enough to do this type of caller-agent matching? It's likely that tomorrow's consultants and agents will come from new areas within a company, and some will service customers as only one aspect of their job, which enables them to bring new knowledge and ideas to the position. Trend #5: The big data effect. There's no better place to start than the contact center. Today's customer can touch the enterprise in a number of ways—chat, phone, Web collaboration, email, even face-to-face at a retail establishment. 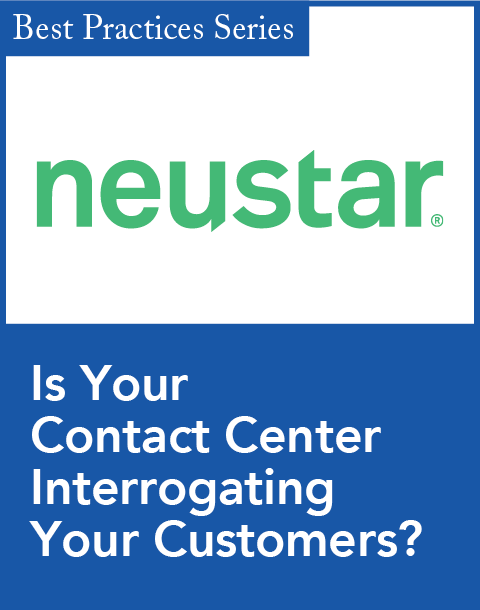 Contact centers need to have a 360-degree view of the customer to accurately predict and anticipate customers' needs. All communication streams should be captured, indexed, tagged, and harvested for customer intelligence (a more effective voice-of-the-customer model). 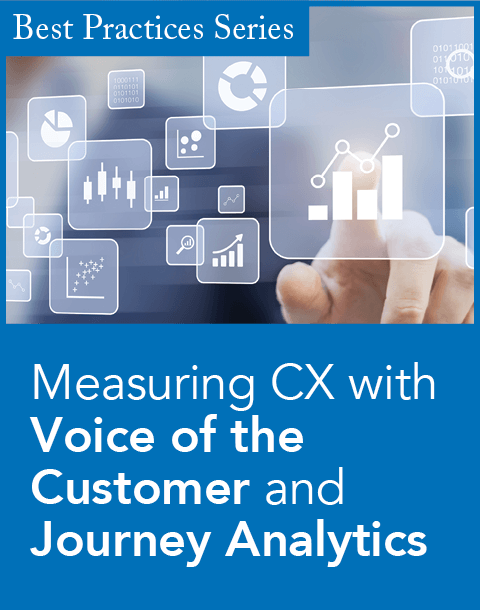 Traditional operational metrics are taking a backseat to the "gold rush" of contextual and behavioral data provided by the proliferation of new customer end points, such as smartphones or tablets. Whether you are launching a new product or resolving major customer issues, take the opportunity to mine the massive data volume in your contact center to advance your goals. Many organizations are now using big data to not only understand the history but also to forecast the future so that they're proactively managing customer relationships as opposed to reacting to firestorms. Are you able to analyze your reams of customer data and proactively leverage it to improve all facets of your business? Trend #6: DR should require no PR when it happens. Your disaster recovery (DR) strategy needs to be seamless, with zero impact on your users and, more importantly, your customers. The days of paper-based DR plans and data centers in the same geographic region are gone. Your PR department should not have to defend a failed DR strategy. Many organizations are looking to the cloud as the ultimate DR solution. Organizations should assess cloud options to determine how close to zero impact they can get. With natural disasters, epidemics, and weather disturbances on the rise, premise-based contact centers are either implementing a cloud-based overlay DR architecture or migrating to private and/or public clouds which have inherent disaster recovery built into the platform. Does your DR approach exploit the flexibility of the cloud? Trend #7: Web self-service goes mobile. Mobile apps have evolved from fun and games to valuable tools for buying goods and services and transacting business. The average consumer prefers self-service on the Web to talking with a live agent. With the proliferation of mobile phones in the hands of consumers, mobile apps are becoming the new channel for self-service. When customers "zero out" to talk with a live agent while using your mobile app, they already have their mobile phone in their hand. 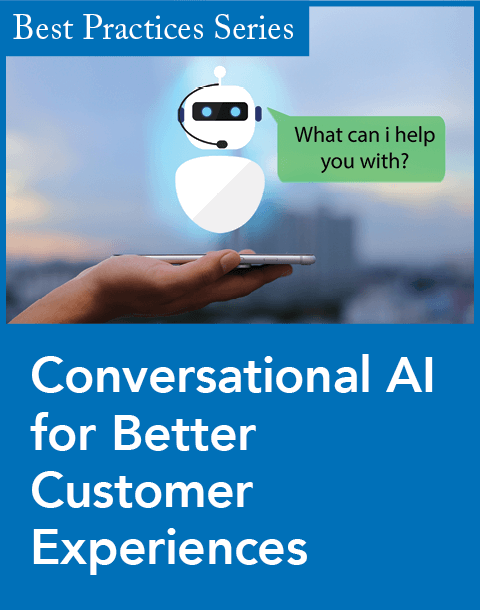 The successful enterprise must be ready to seamlessly turn this self-service experience into an agent-assisted experience. Does "there's an app for that" apply to your customer service? Many of these trends are interdependent. Big data will leverage the increasing adoption of social media, for example. On the desktop, or with applications, we will see contact center personnel and applications adopting new techniques, such as gaming. In addition, more information will be shared with the contact center agent. Real-time information and trending data will drastically improve first call resolution and ultimately increase customer satisfaction. But to take advantage of these new trends, contact center managers must evolve and adopt these new contact center "fashions." Paul Lang is vice president of applications portfolio management at Siemens Enterprise Communications. He has been in the communications industry for more than 20 years, and has held executive roles at LiveOps, Genesys, and Aspect in North America and the U.K.
DMG report outlines steps companies need to take to address issues on social media. Nine contact center hurdles to overcome.